recommended for: Fans of John Green, Rainbow Rowell, and other quirky, character-driven writers. If you've never interacted with Emery Lord, never read one of her books, then you don't realize that you're missing worlds of frenetic hilarity, sharp sweetness, and life in dazzling color. When We Collided is a burst of chaos and color, more vibrant and biting than the soft sweetness of The Start of Me and You. It's about summer and growing up and love and loss and mental illness, and it dips so naturally between heavy and frivolous that it mostly avoids all the cliches that come with each topic. Foremost, it's a character driven novel. If you don't like the characters, you might have an issue. Or you might not. Vivi was a tough sell for me. She's a bit wildly over-the-top, though in a believable way. She's the kind of brazen, sensual, insanely confident girl that always annoys me for no good reasons other than jealousy and frustration with people who don't think before they act. But her heart is in the right place and even if I'd loathe her if I met her on the street, in book-form I came to understand and root for her. She's also nurturing a darkness that's hard to fault her for, and a deep understanding of life and surprising maturity that becomes apparent over the course of the book. I became protective of her, eager for her continued growth. Jonah was easier for me to relate to from the outset, just personality-wise. He's the middle kid with five siblings, a father who recently died, a mother who can't get out of bed, and a mess of responsibility. He's cautious and puts everyone before himself, to a fault. But even though I liked him better at first, he does have his own issues. He's very harsh on his mother, which is understandable for a kid put in the situation he's in, but which also made me--like Vivi--want to shake him and explain how depression works. He's also a bit stifling of Vivi's personality, not always in a way that's best for her. But he's sweet and caring too, and I loved watching him come out of his shell. His siblings give him life, too, and become a second family as you're reading. With the characters' deep faults and the over-the-topness of some of their actions, this book could easily have veered off course. In the end, the careful way that Lord crafted the plot made it feel real and poignant. Vivi's outlandishness begins to make sense. Her relationship with Jonah is fast and passionate and too wild too soon--but stick with it, because all of those qualities are strengths of the plot rather than weaknesses once you recognize Lord's master plan. 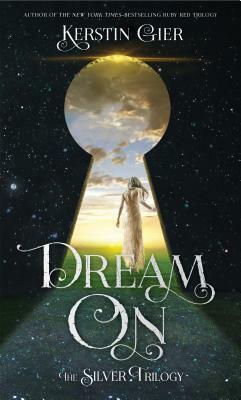 I was so extremely pleased with the way she ended the story, more than I can say here. Suffice to say, it was incredibly satisfying and real. It was a testament to the power of love to heal--and not just romantic love, but family love and, most importantly, above all, self love. And most of all, there's Lord's writing. Great writers can get away with a lot. They can stretch reality and push the limits of your disbelief. Because their words trap you in a land of their own making, where the normal limits seem thin and where anything they say feels possible. Lord's prose is punchy, funny, and occasionally heartbreaking. She sprinkles in profound quotables that make you pause, but she's sparing with them so it never feels heavy handed. She has some of the best, most accurate descriptions of depression that I've ever read--so visceral and real that I nearly cried because it was like she'd plucked the images from my own head. She's also hysterical, the honest to god laugh out loud kind. Her mastery of language yanks you between highs and lows, and turns your standard summer love story into a work of art. It's a book that'll set you on a collision course, and shatter you in all the best ways. 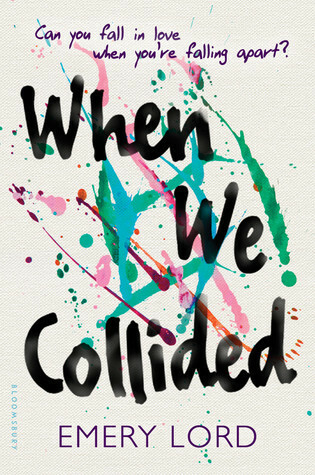 When We Collided is a vibrant, soul-wrenching story of loss, love, and the power of people to drag each other--and themselves--out of the darkness. will i read this author again? Yes!!! I'm currently reading this! I'm glad you liked it - makes me super excited to get back to it! :) Great review! Thanks for such an awesome review! I've been seeing this book around a lot lately, and have been pondering whether it's for me. Seeing as it's character-driven, I might have to pick it up! Happy book-ing to you! I can't wait to read this. I absolutely love Emery Lord's writing. Glad you liked it! :) Thanks for the review! I just read Emery Lord this month. I need to read When We Collide and her first book ASAP. I loved The Start of Me and You.